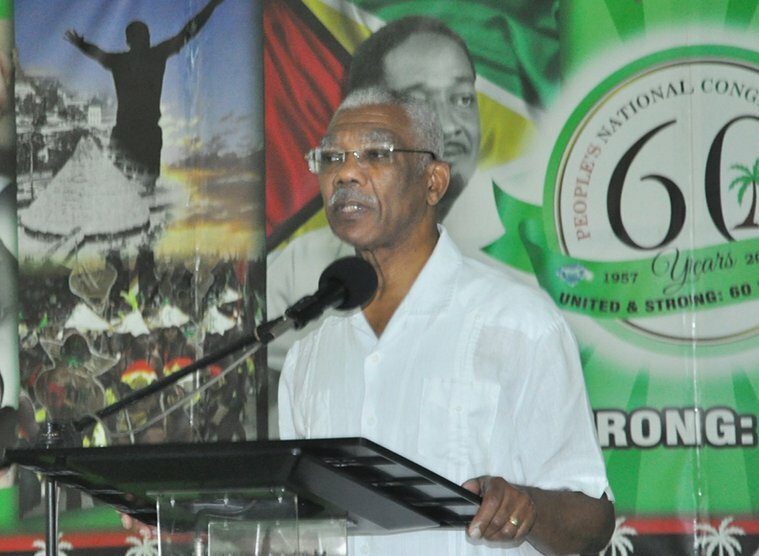 The People’s National Congress Reform (PNCR) yesterday held its first General Council meeting for the year and party leader President David Granger told the gathering that Guyana is in the best place it has been for 52 years in its border controversy with Venezuela. Granger, who was praised at the meeting for his leading role in ensuring the border controversy reach the International Court of Justice (ICJ), was at the time delivering the feature address at the event at Congress Place, Sophia, where party leaders also stressed the importance of readiness for the upcoming local government elections. According to a statement issued by the party after the conclusion of the meeting, Granger touched on the border controversy after PNCR Chairman Basil Williams, SC, who highlighted the decision of the Secretary General of the United Nations to refer the matter to the ICJ and complimented the president’s work over the last 30 months to secure the outcome. Late last month, United Nations Secretary-General António Guterres recommended that the matter be referred to the ICJ, after his predecessor, Secretary General Ban Ki-moon, had given the good offices process between the two countries one additional year – 2017 – to resolve the controversy. Venezuela’s revived claim to Essequibo in 1962 has led to decades of destabilisation of efforts by Guyana and international partners to develop projects in the country’s largest county. The PNCR statement also said that Granger, in his address, expressed anticipation that 2018 would be a very challenging year for the party and he reiterated the calls made by the party’s General Secretary Amna Ally to improve its work in communities all across the country in preparation for local government elections. 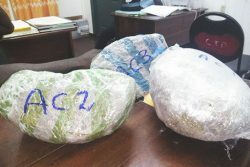 Granger also called for vigilance and attention to the security of the nation, while noting that the best guarantee of Guyana’s defence was its people. In this regard, he said “the Militia was on the march again,” which was a reference to the Guyana Peoples Militia. He reiterated its importance to the security of the nation and called on party members and supporters to enlist. He also emphasised the importance of community policing to the security of neighbourhoods and the suppression of crime. He called on Guyanese to come forward and volunteer for community policing. “We have to establish a system which can guarantee the safety of every citizen of this country,” he was quoted as saying. Granger, the statement said, also recommitted the party to coalition A Partnership for National Unity (APNU), of which it is the largest member. 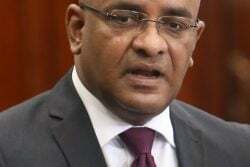 “We are better together, we are not leaving APNU, and all five parties will stay together and contest the local government elections,” he was quoted as saying. “As a nation we are heading for great times,” he also said while urging party leaders to stand firm in the face of those who were peddling negativity. “We have to ignore the negativity, our economy is growing, it is being prudently managed,” he said even as he noted a 3.5% growth in the economy over the last year. In an address that covered several areas of national interest, Granger also called for a revival of the village economy, while stressing the importance of agro-processing, buying and eating local produce and the creation of jobs for youth and women, the statement added. Meanwhile, the statement said that Williams emphasised that many good things are happening in the economy, while noting that billions have been spent and will continue to be spent for the benefit of the people. “Comrades, unimaginable prosperity looms for the Guyanese people. To guarantee that prosperity we must win local government elections this year and General and Regional Elections in 2020,” he was quoted as saying. In her report to the General Council, Ally brought the Council up to date on the state of the party and the work of the party secretariat over the period between General Councils. She informed that the party was already in “campaign-mode” for the upcoming local government elections. Against this backdrop, she also called for regional leaders to work harder in their communities in order to secure victory in the 62 Neighbourhood Democratic Councils and nine municipalities that will be contested. Ally, the statement said, also called on all party leaders to work relentlessly to achieve success, while urging good leadership, good governance and unity.